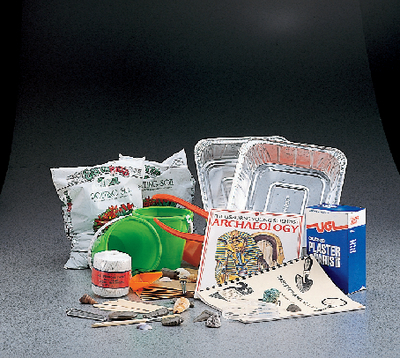 Designed as a hands-on activity for middle school students, this kit includes everything to simulate an archaeological dig in your classroom. The package was developed by teachers Anna Gaiter, Carolyn Brown and Niane Greene, the kit includes items from different periods of time throughout history, enough materials for eight student, groups, a teacher’s guide and archaeology book. Grades 6–8.